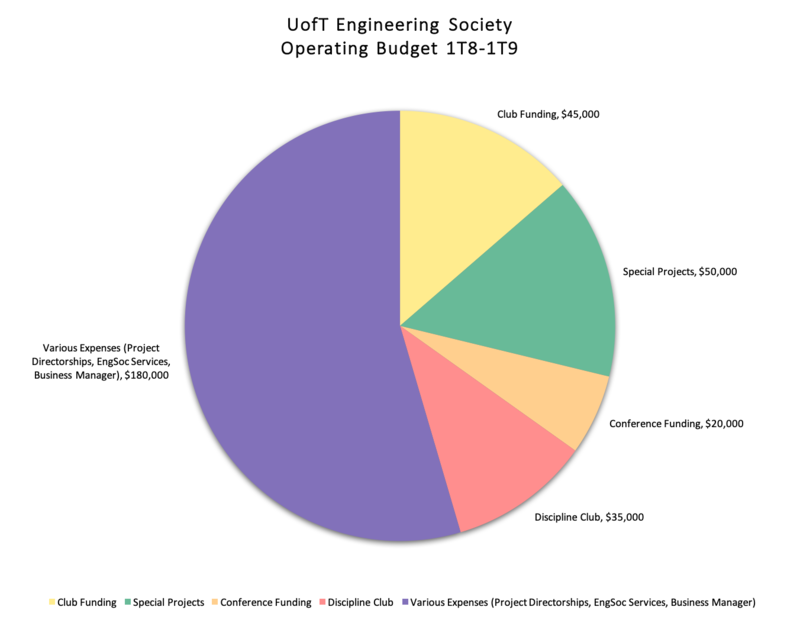 The operating budget for the Engineering Society for the 1T8-1T9 year is roughly $400,000. The breakdown of the use of these funds are shown below. For a detailed breakdown of how the funds are used, visit the Financial Documents section. 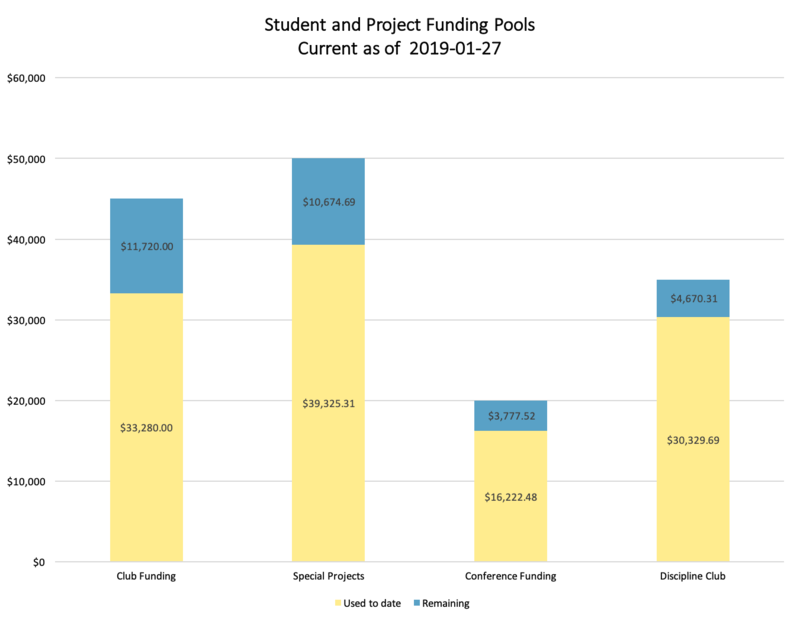 Here are the available amount of funding for each type of group. Use the appropriate application to apply for funding. If you have any questions about EngSoc's financial information, please contact the VP Finance at vpfinance@skule.ca.